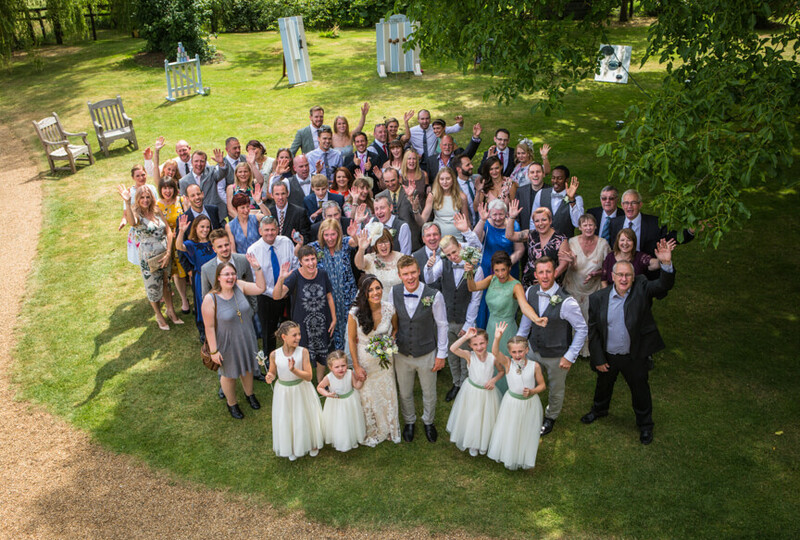 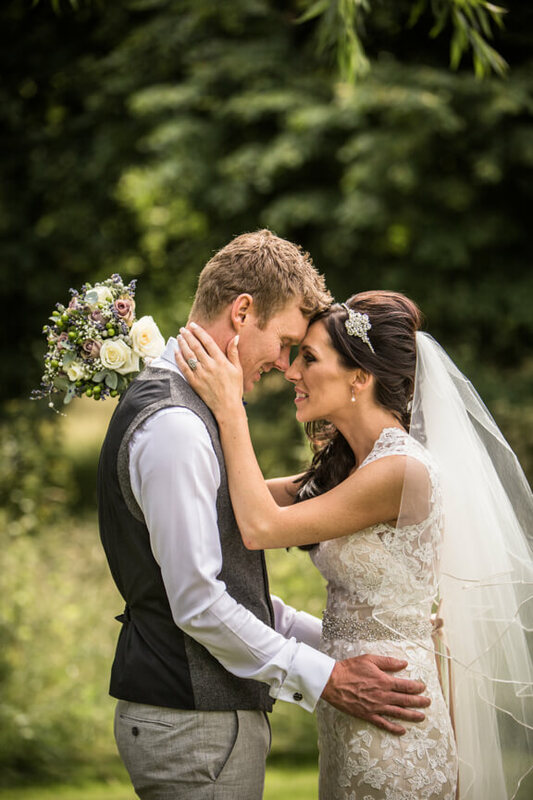 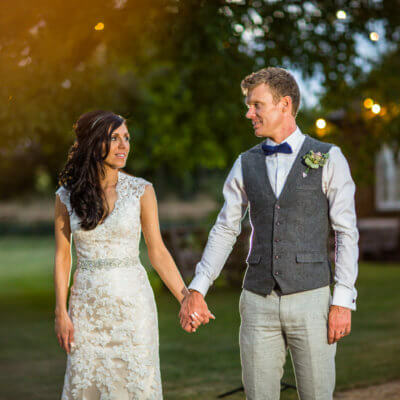 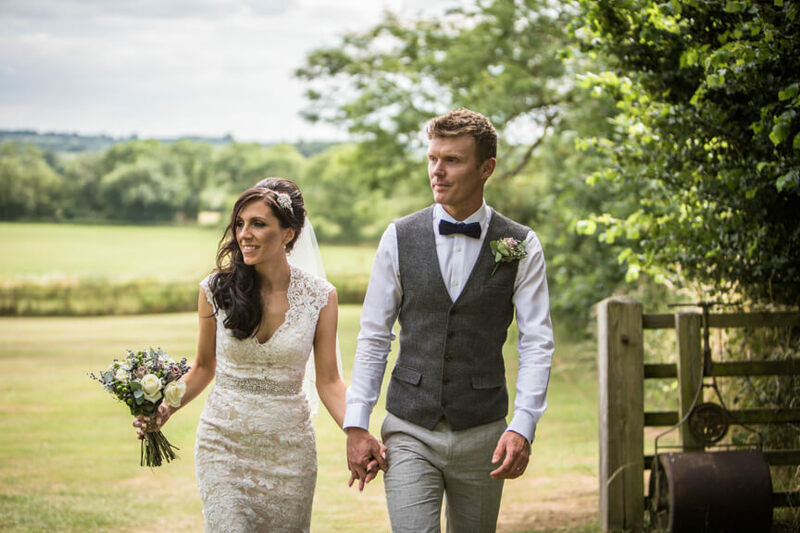 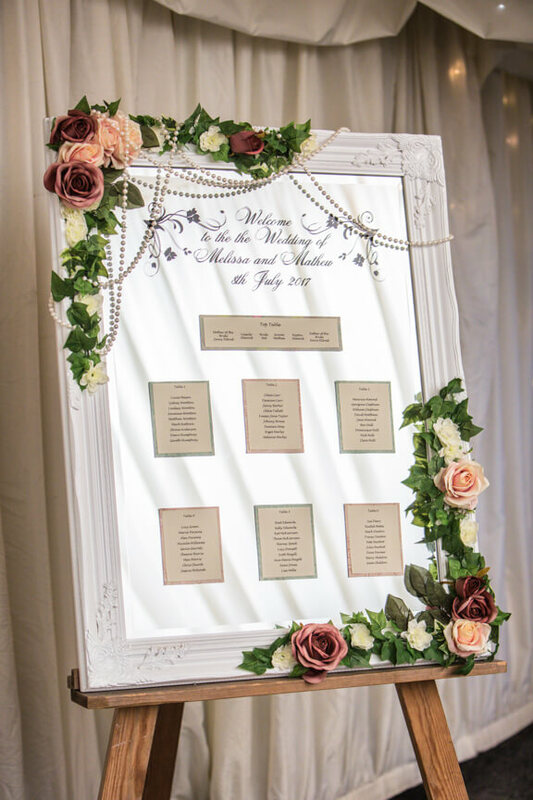 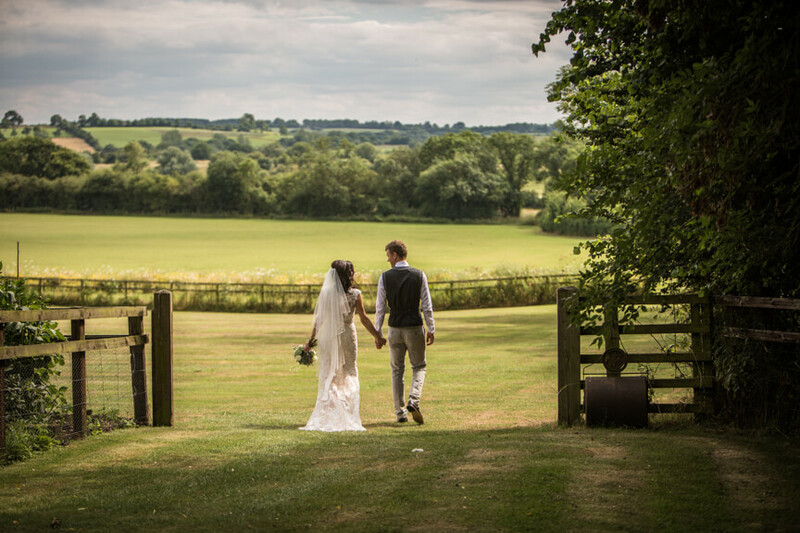 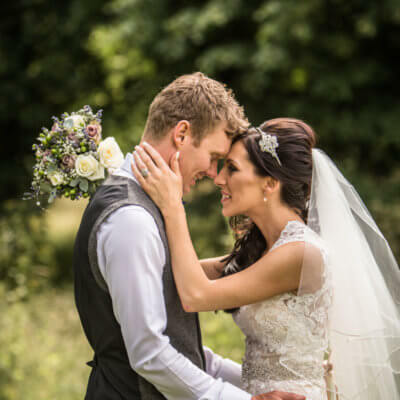 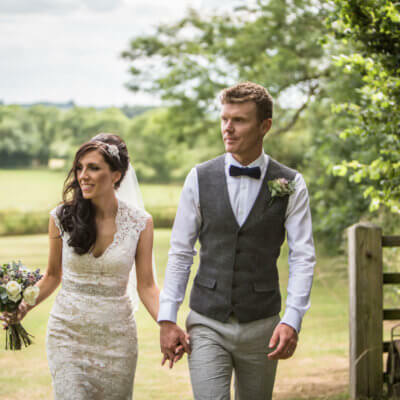 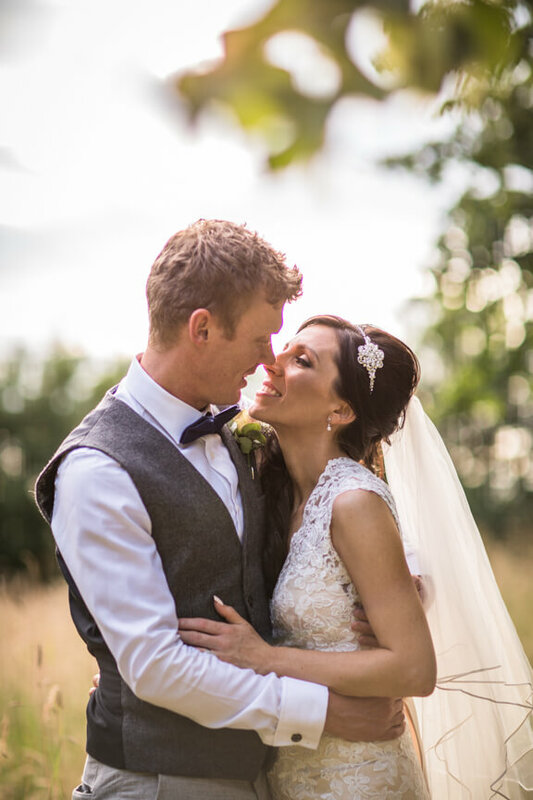 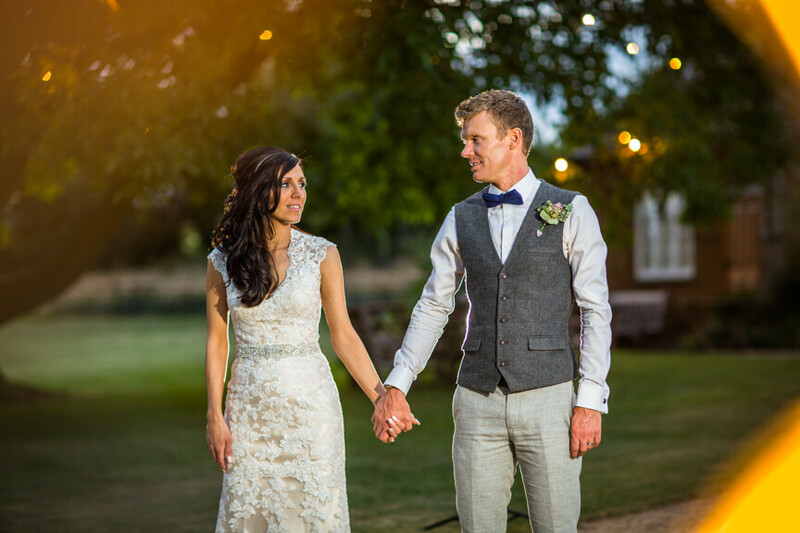 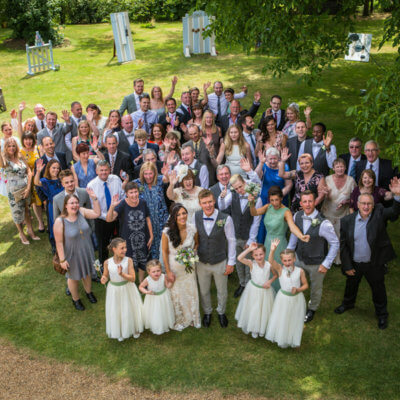 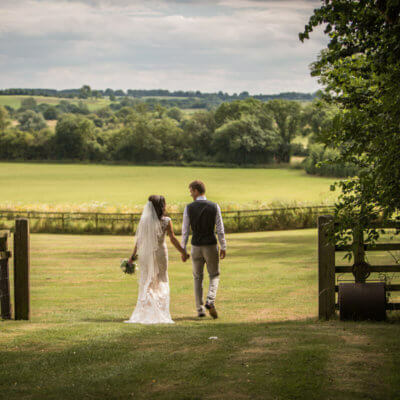 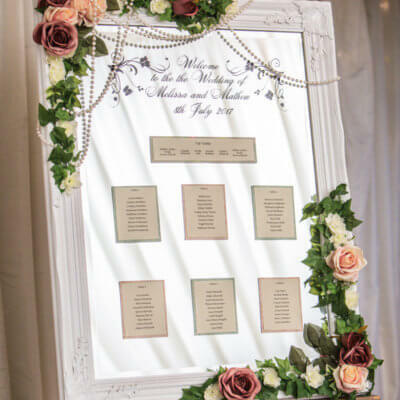 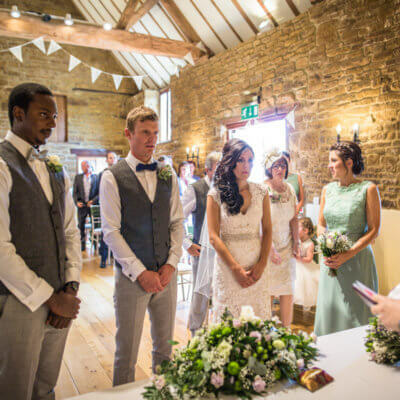 Melissa & Mathew chose to marry at Crockwell on a midsummer’s day in July. 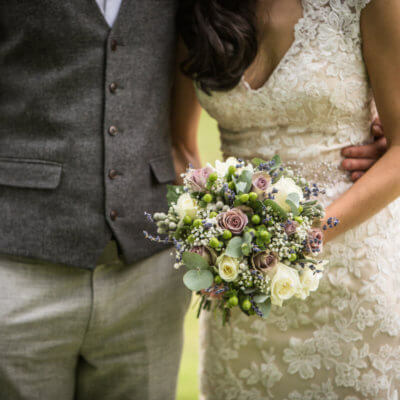 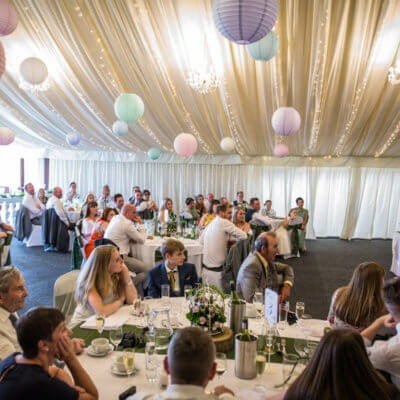 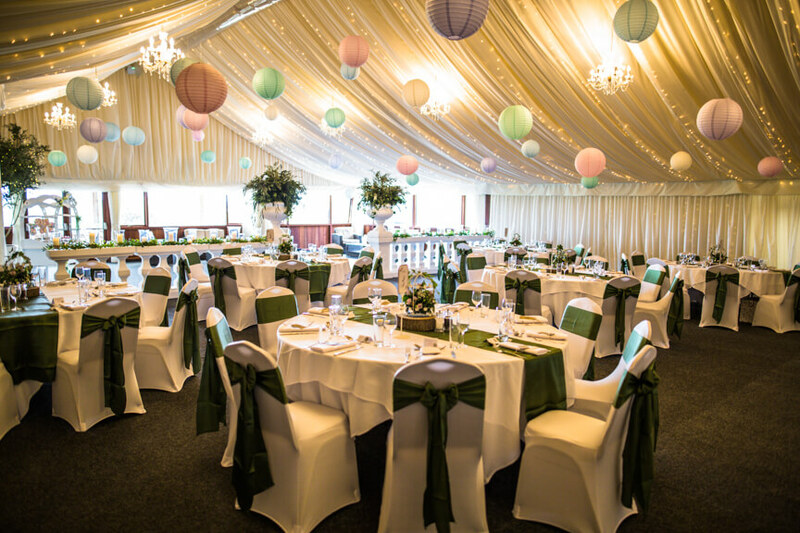 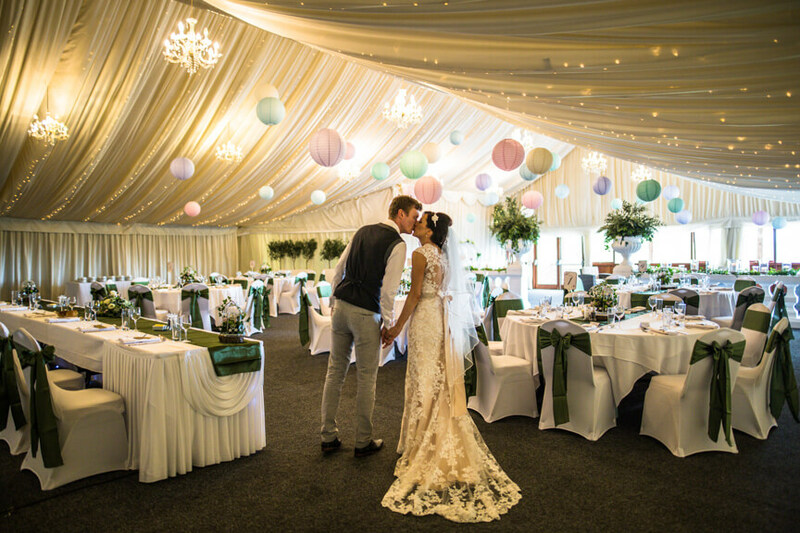 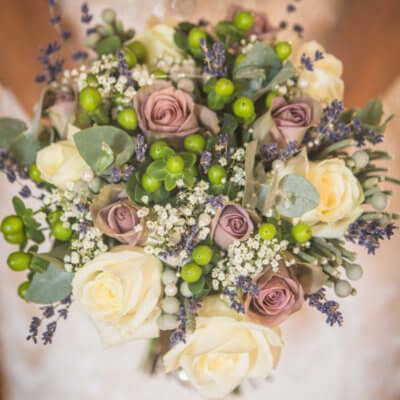 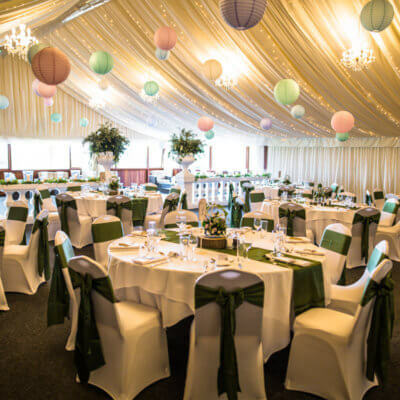 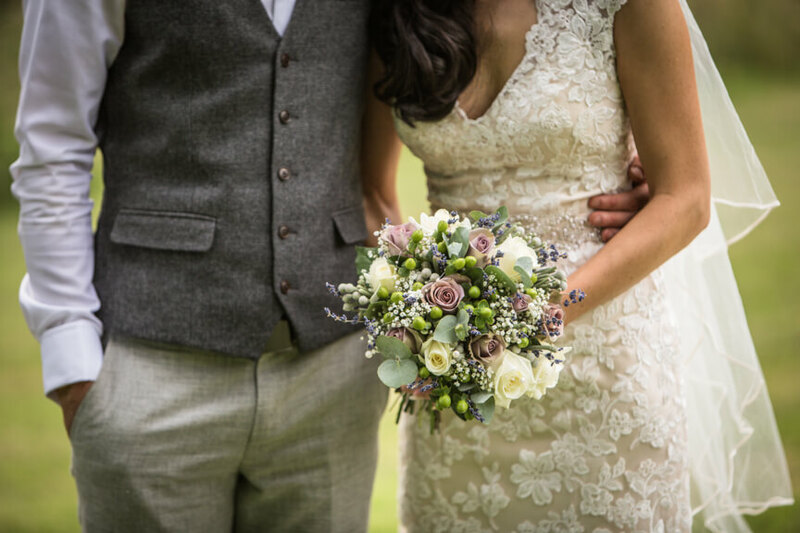 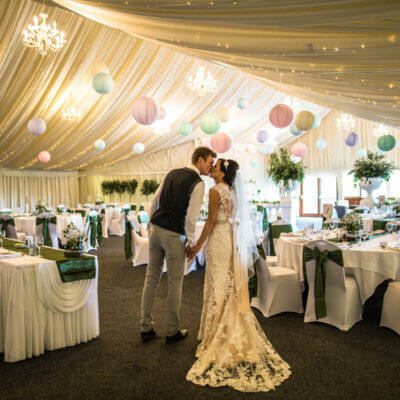 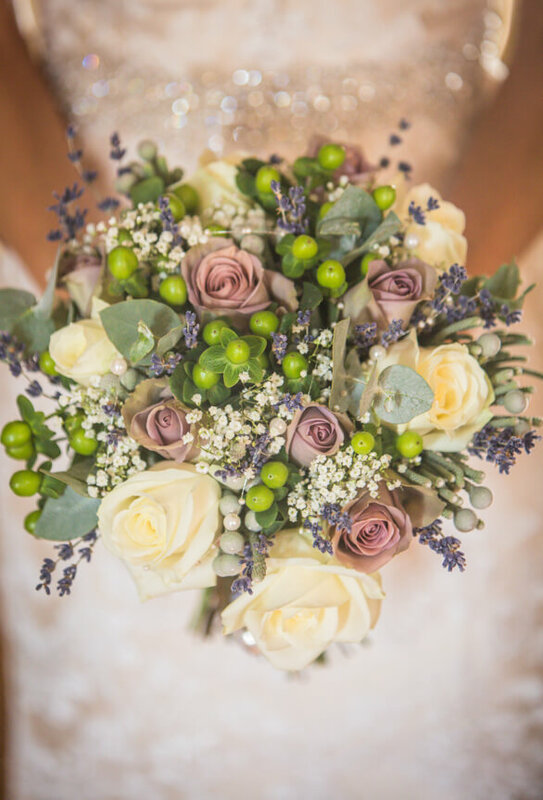 The couple opted for a relaxed country theme with sage greens running throughout their decorations and pastel flowers from florist Jack Haddon, complete with fragrant lavender, and pompoms in the main marquee provided by Decoration from Laura. 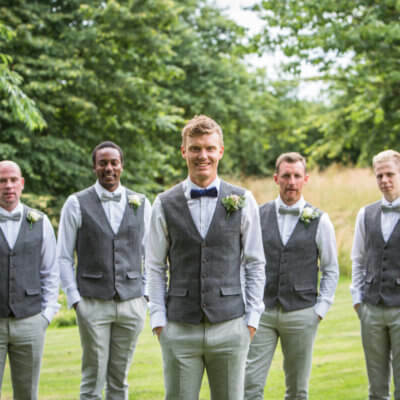 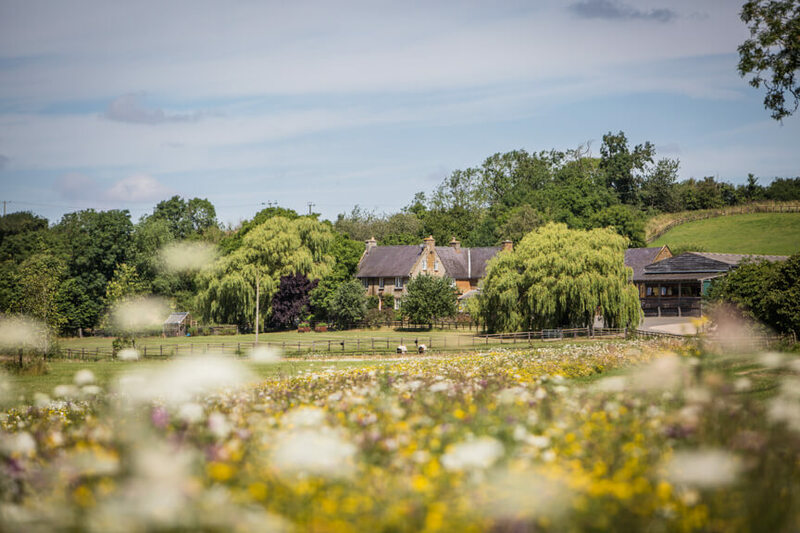 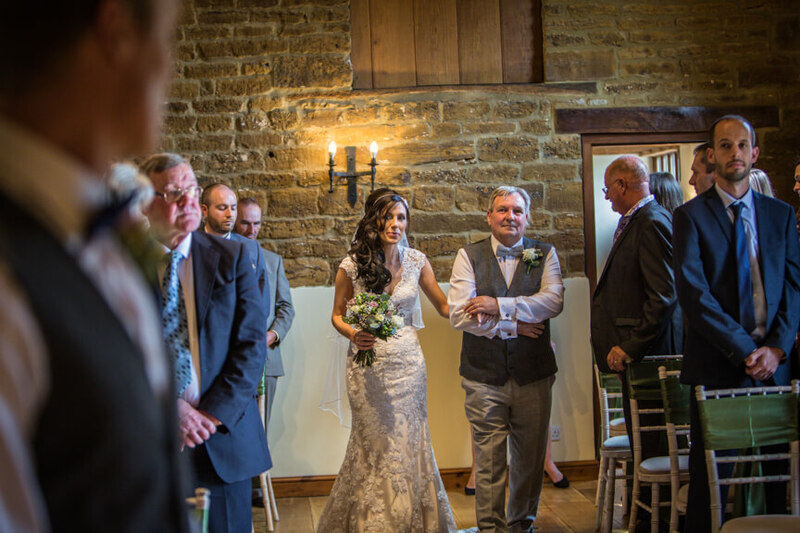 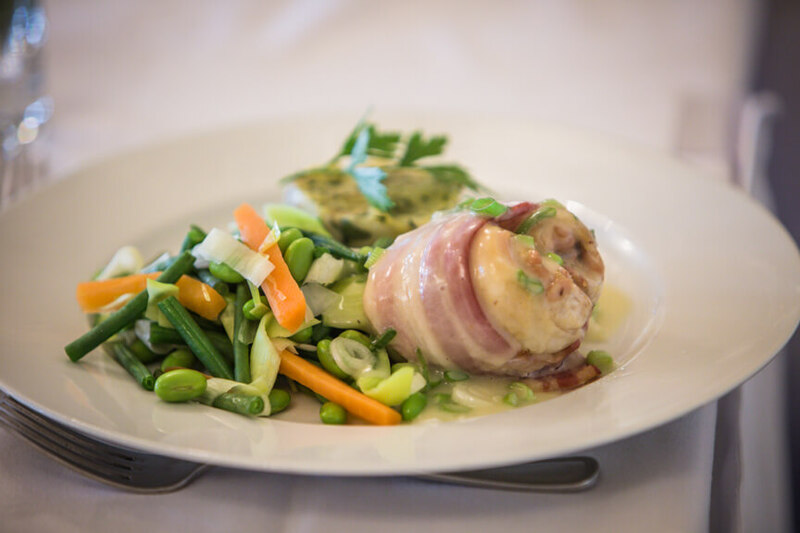 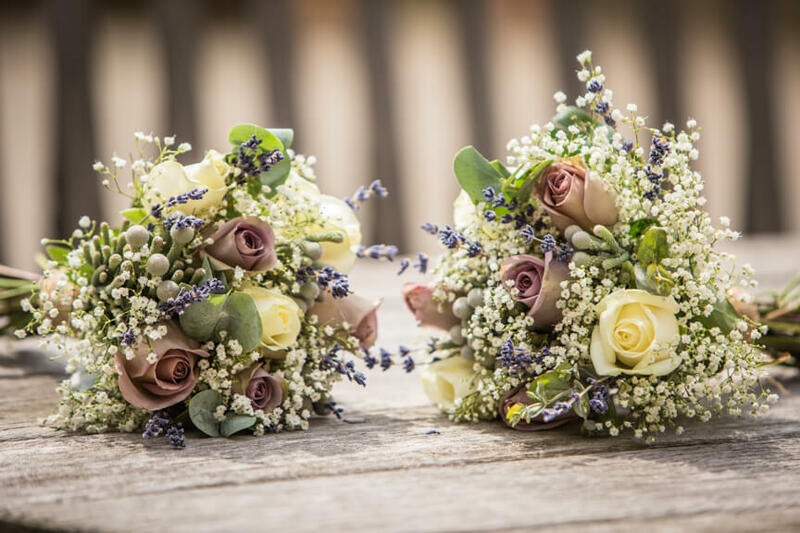 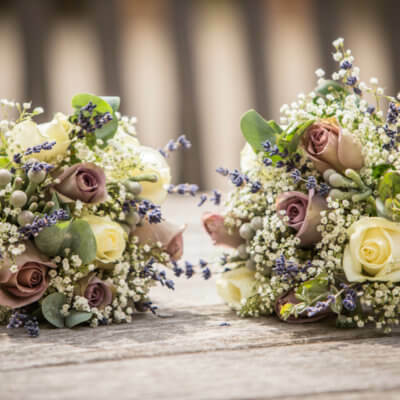 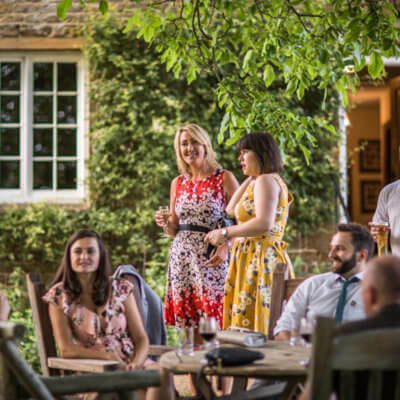 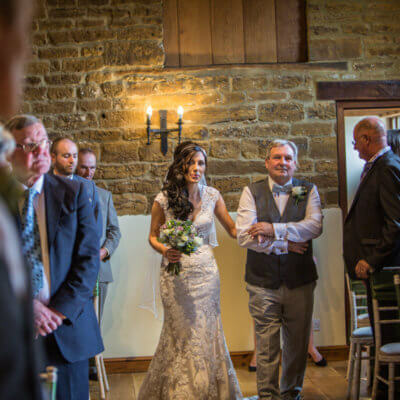 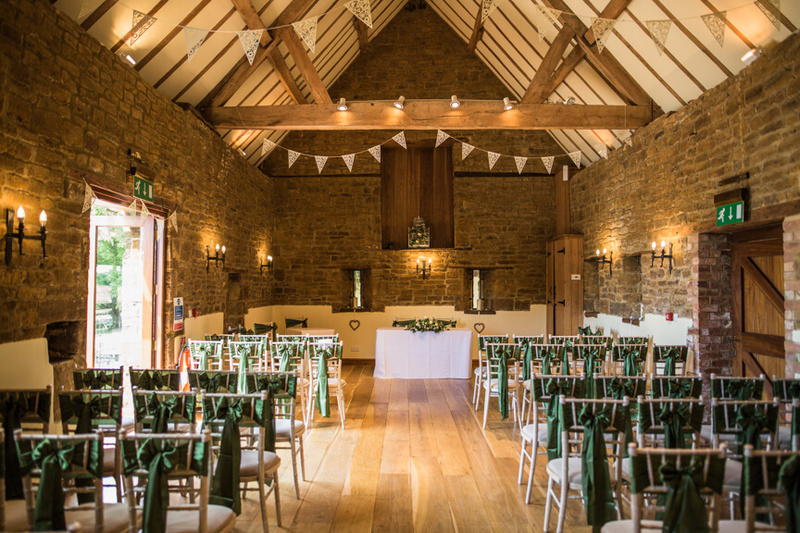 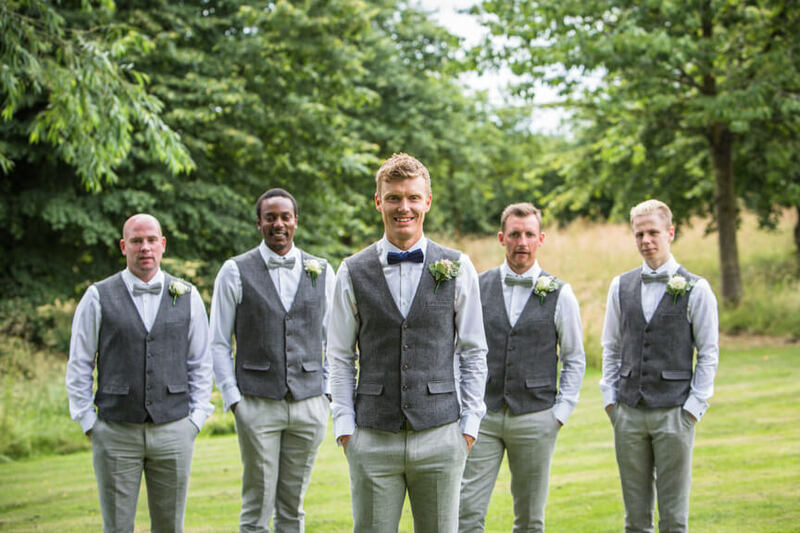 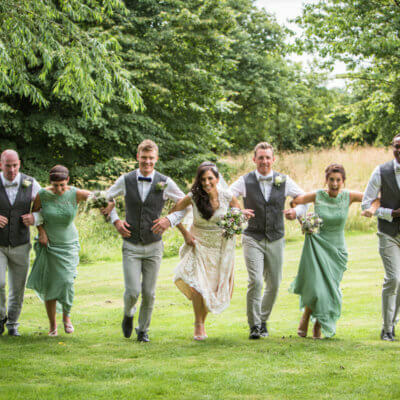 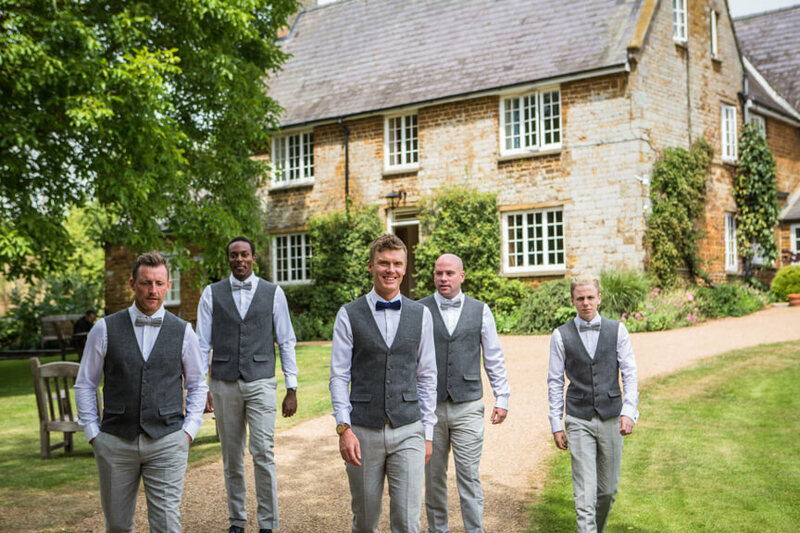 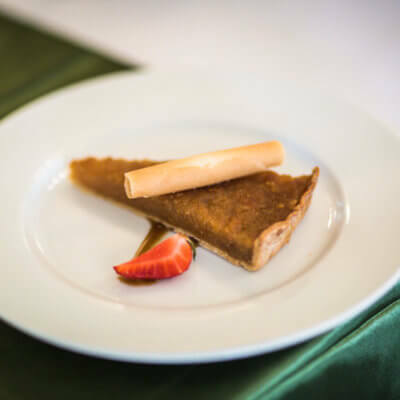 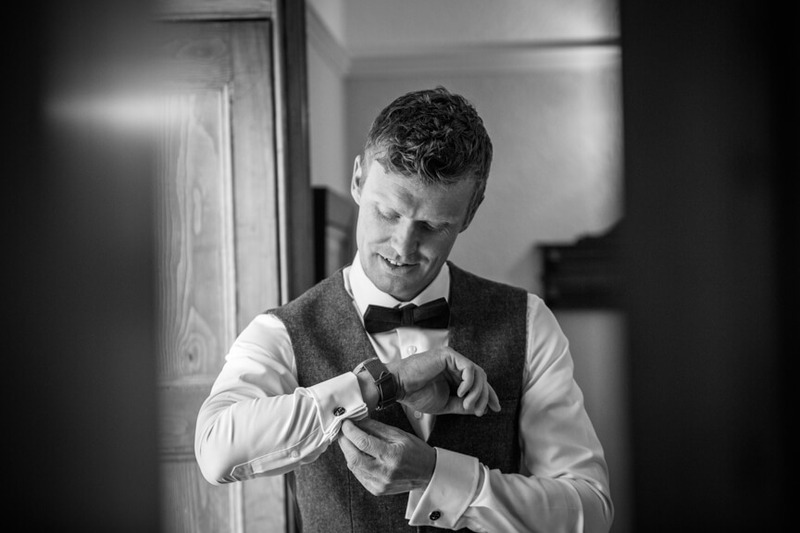  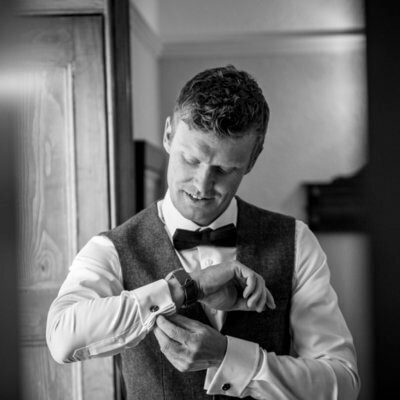 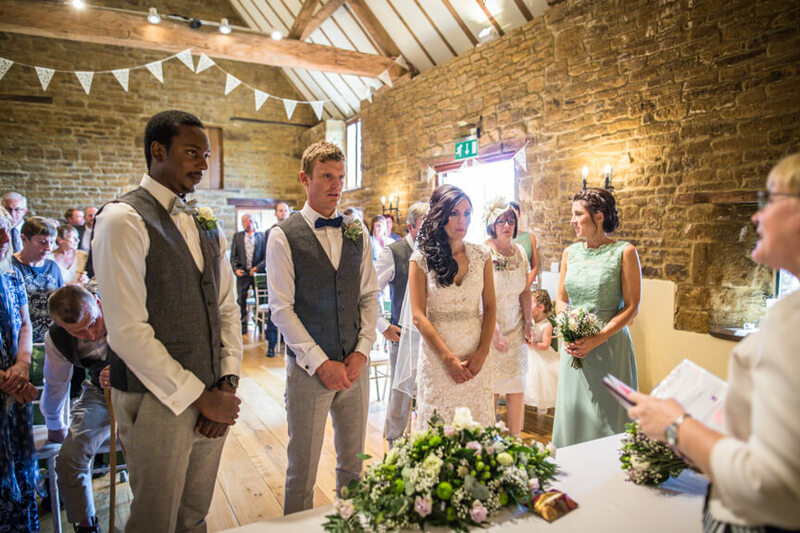 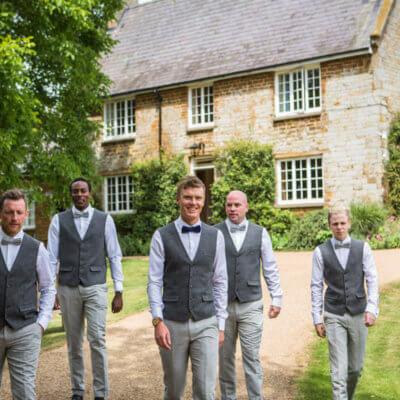 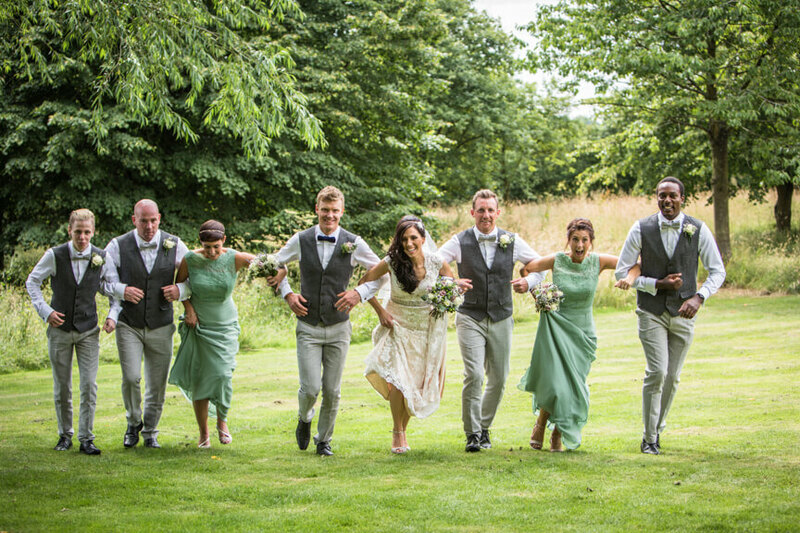 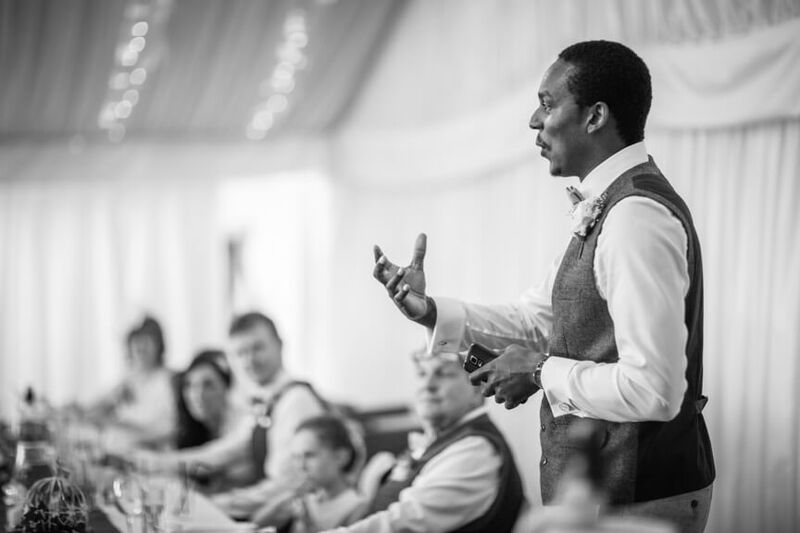 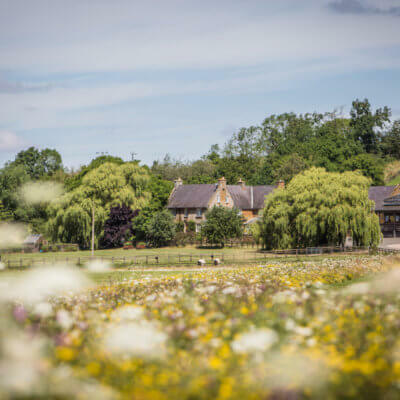 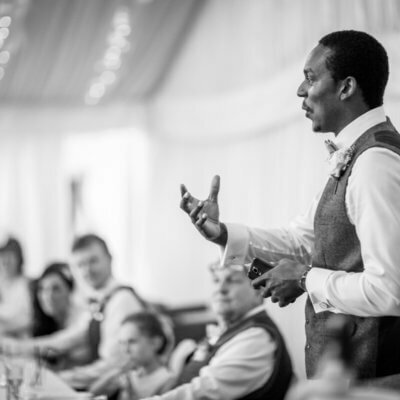 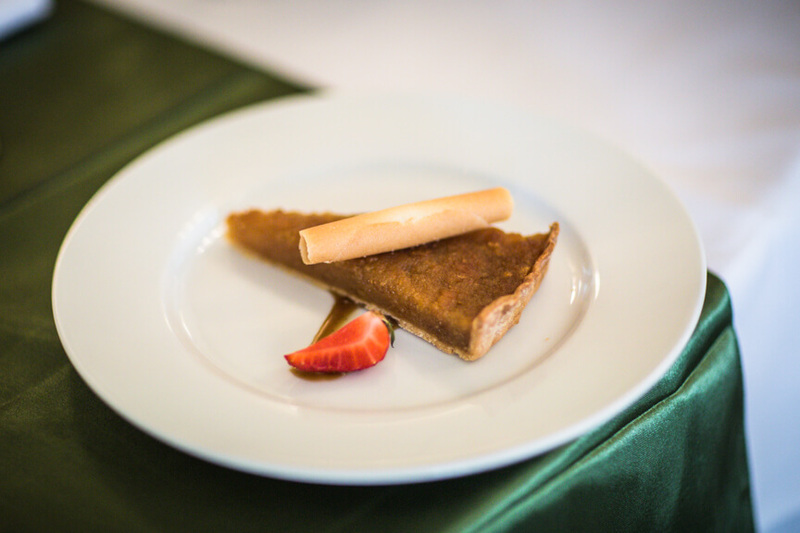 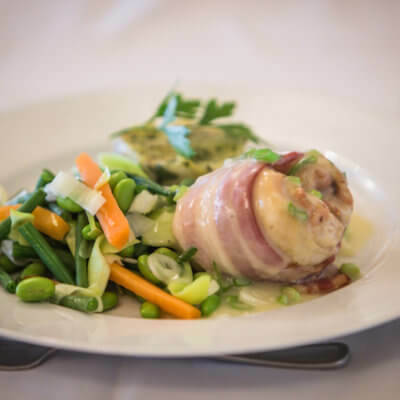 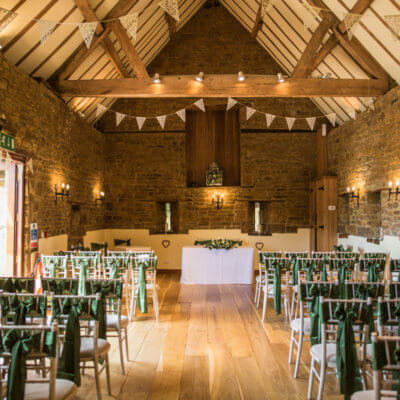 The groom and groomsmen stayed at East of Eydon cottage the night before the wedding, while the Bridal party relaxed in the cottages at Crockwell, both parties enjoying a full English in the farmhouse before commencing preparations for the big day. 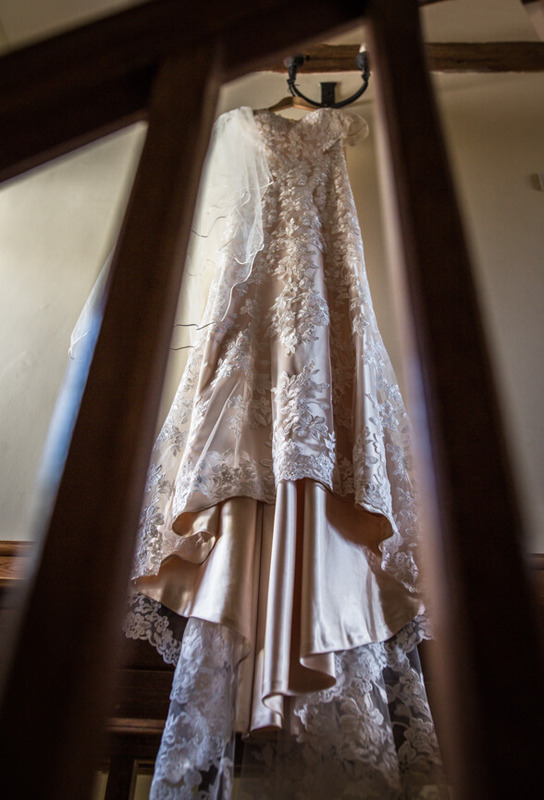 Melissa looked absolutely stunning in her lace dress with beautiful detailing on the back and a soft train. 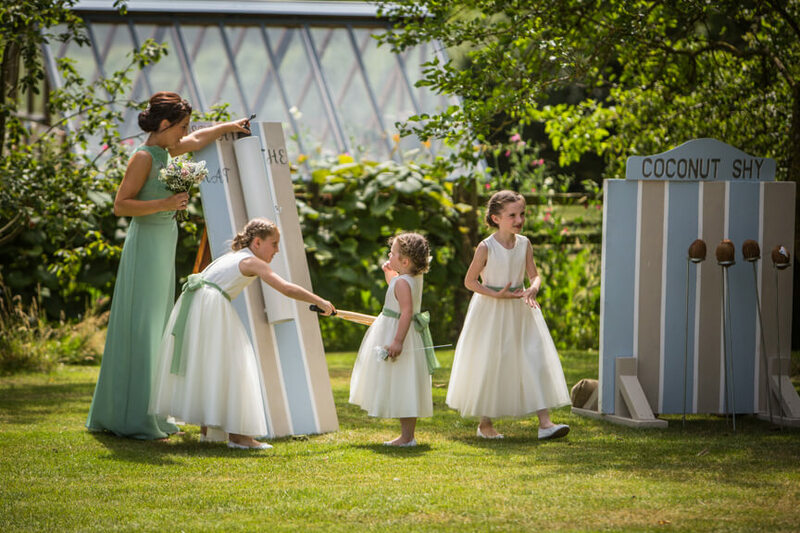 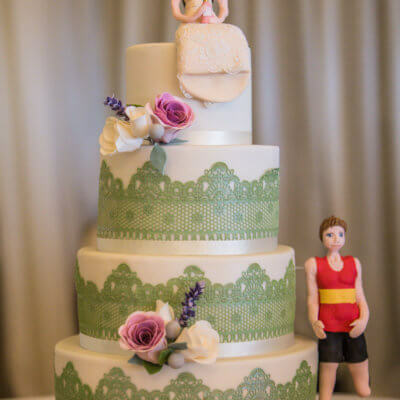 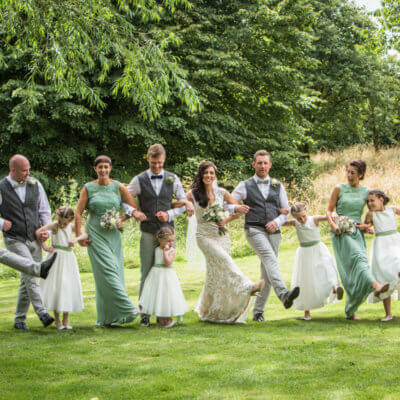 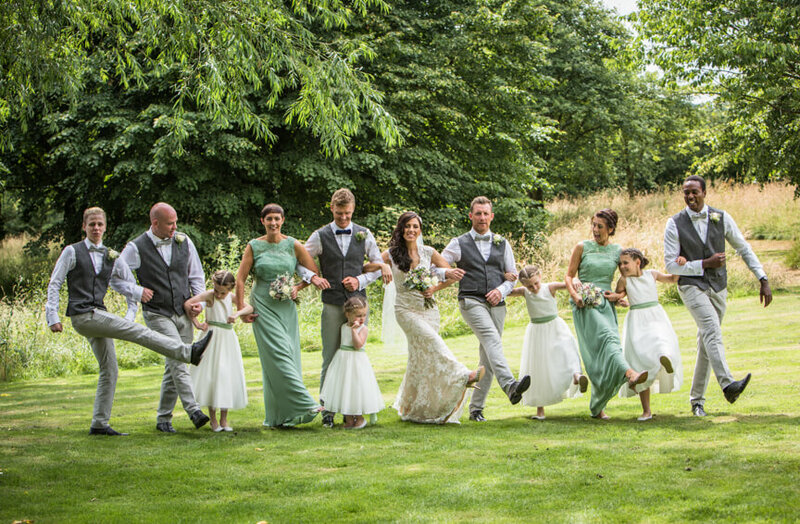 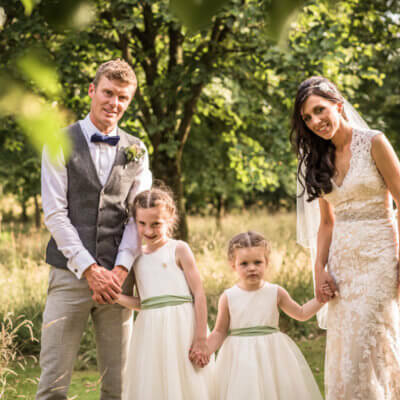 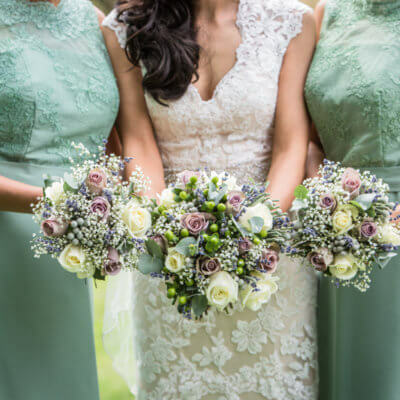 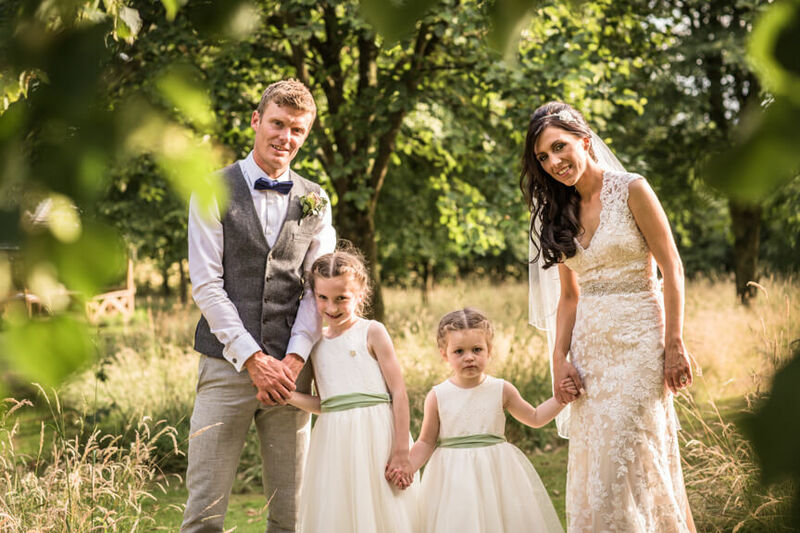 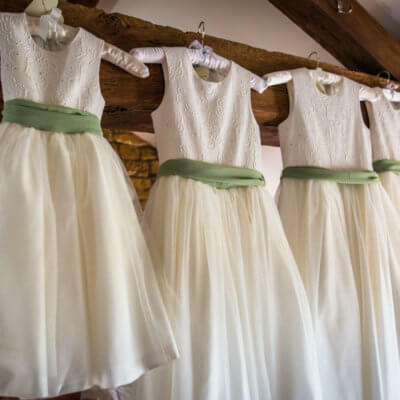 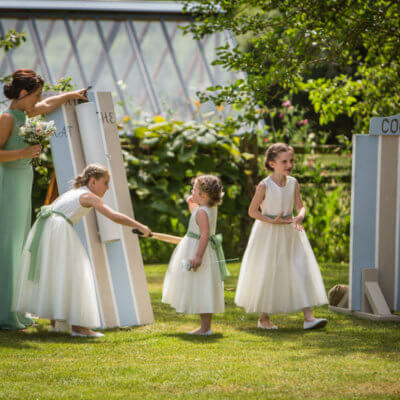 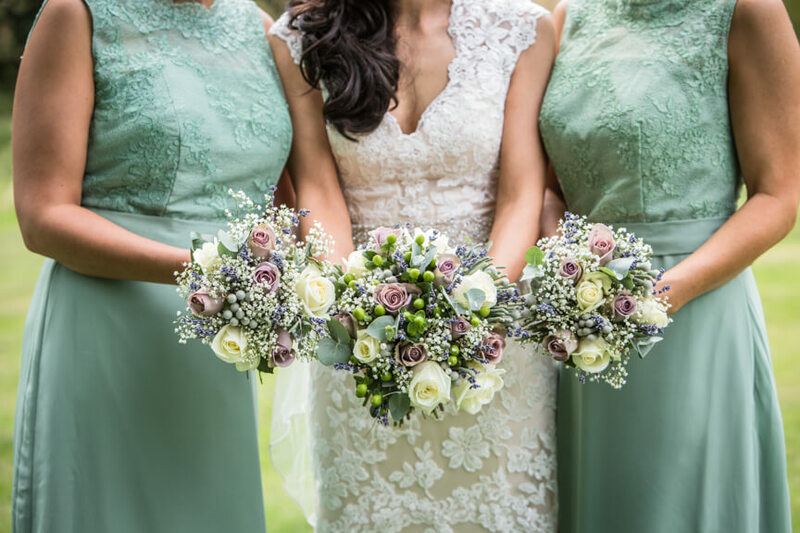 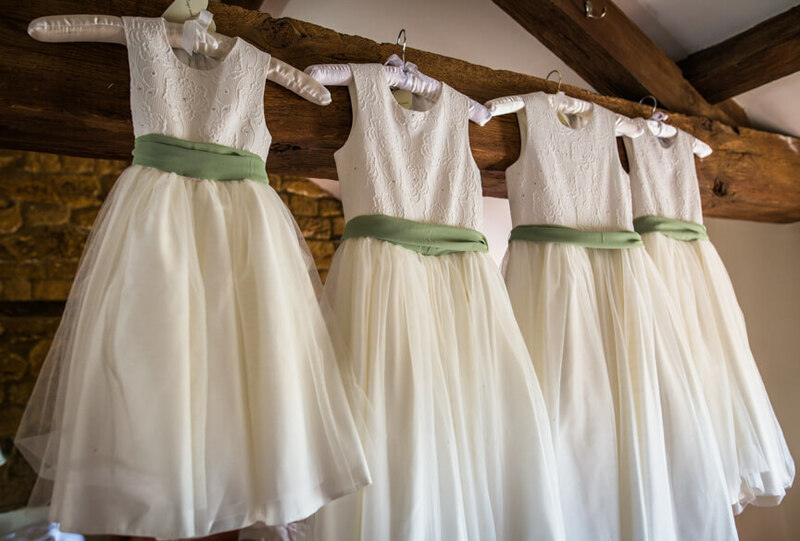 The flower girls were led by the couple’s daughters, Peyton and Cassidy alongside bridesmaids in pastel greens to complelemt the ushers’ grey waistcoats. 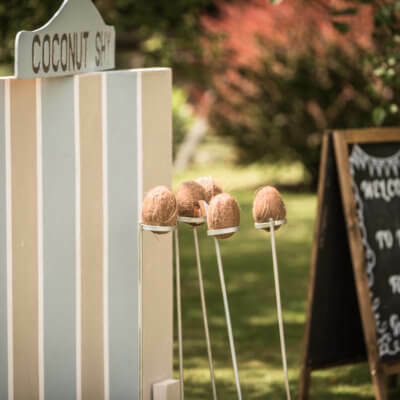 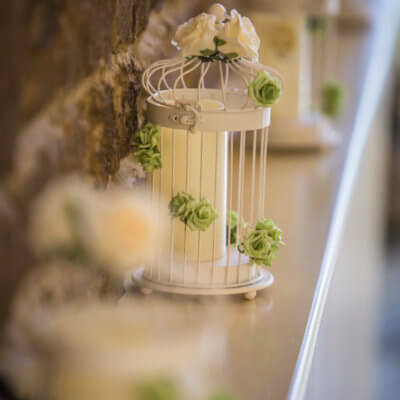 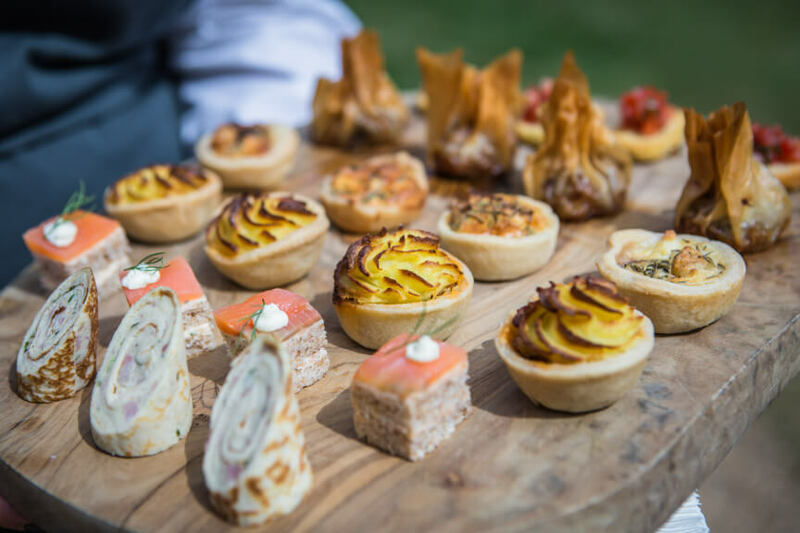 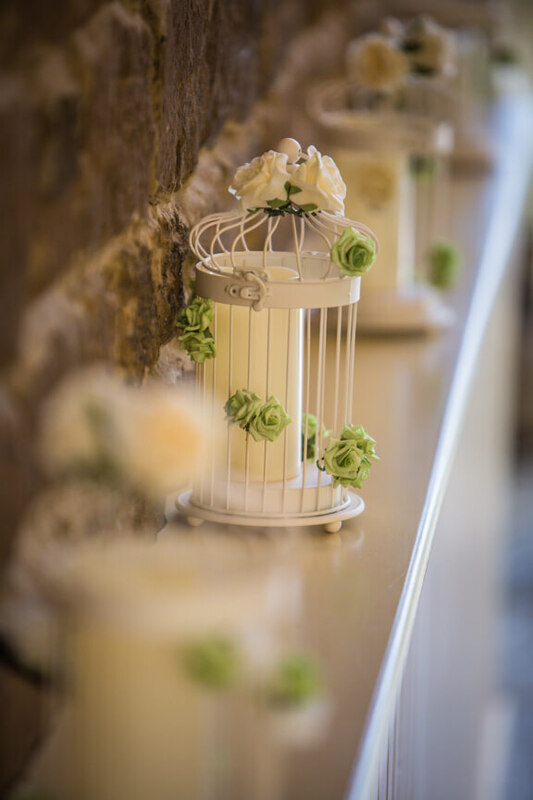 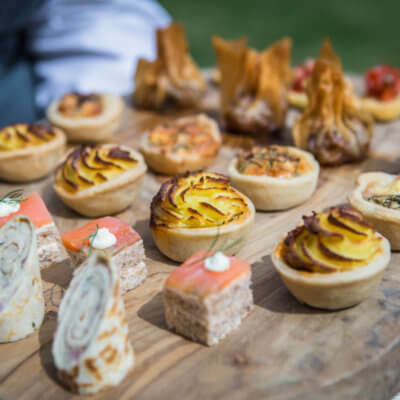 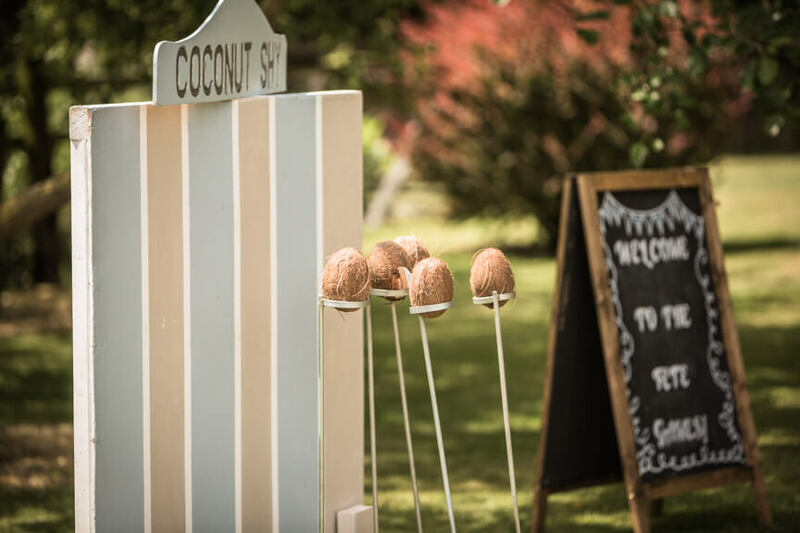 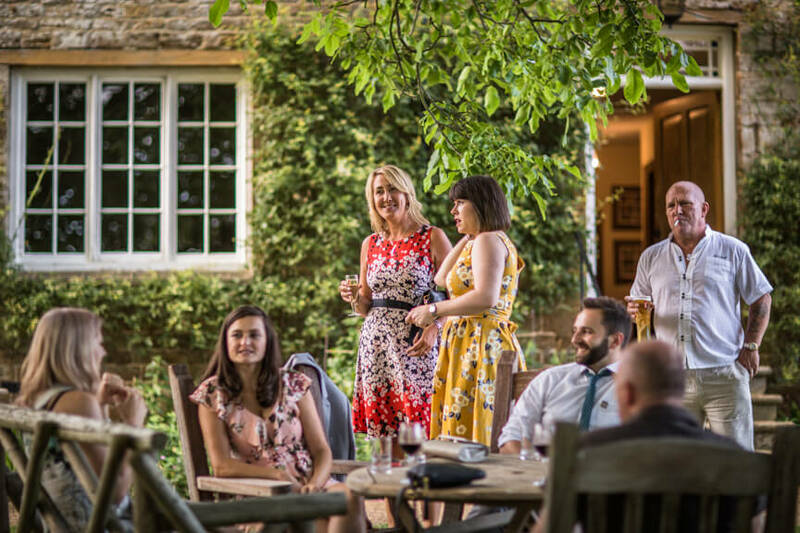 After the marriage which took place in the vaulted barn, guests were treated to vintage garden games from Little Wishes Hire and Pimm’s & lemonade with summer canapes from the Chopping Block. 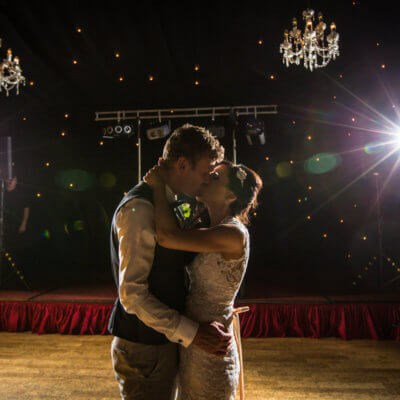 The party then made their way into the main marquee for the wedding breakfast before enjoying a stunning sunset and dancing the night away. 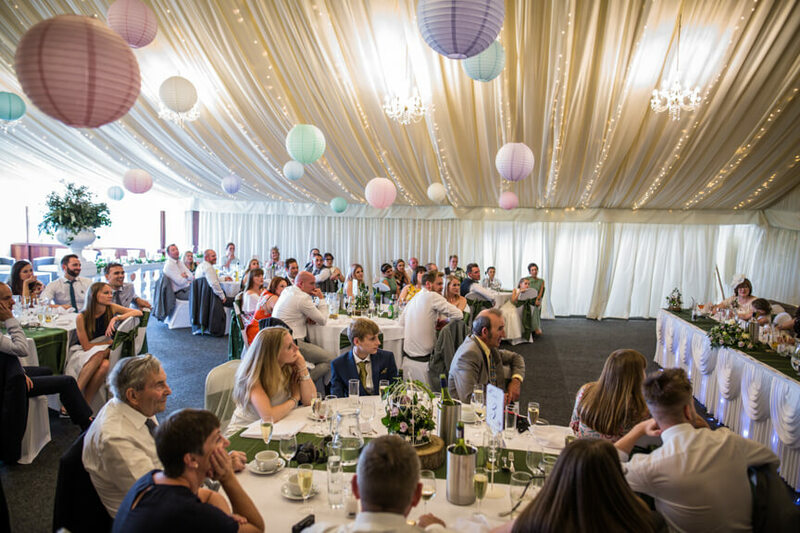 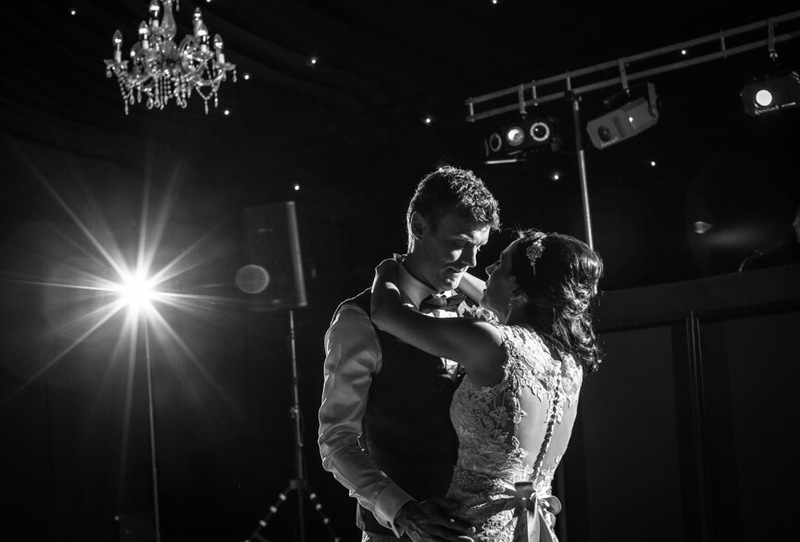 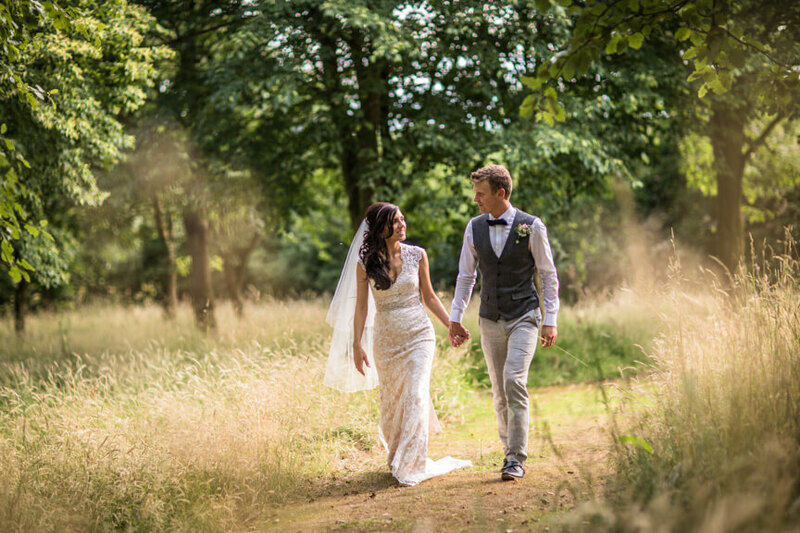 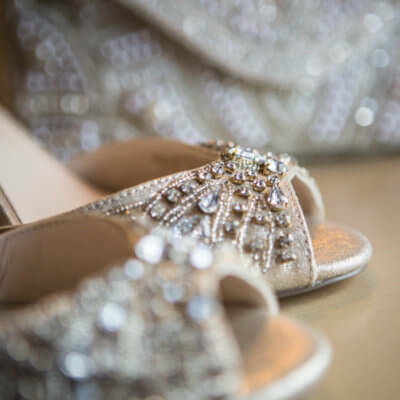 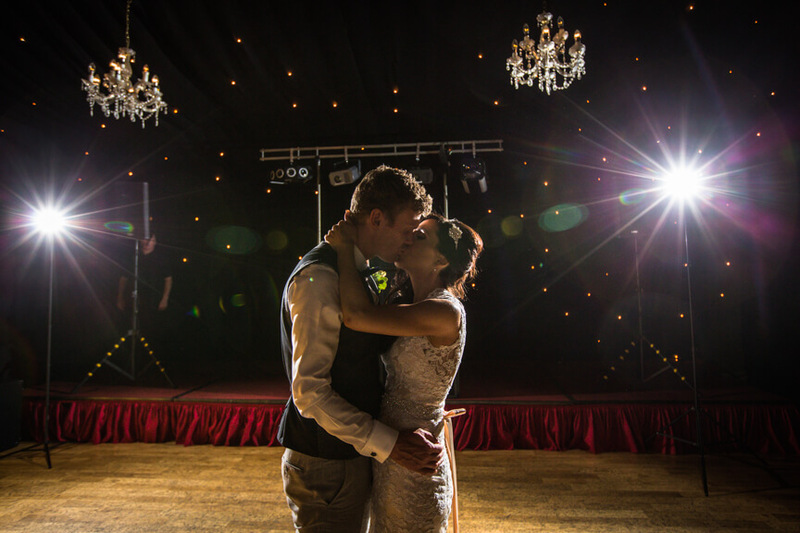 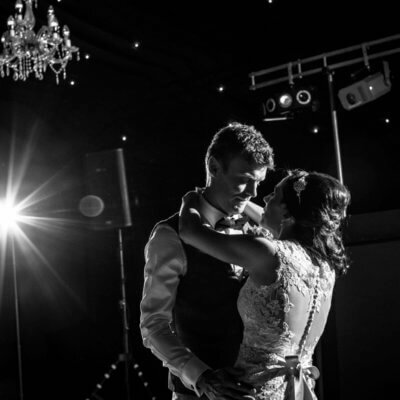 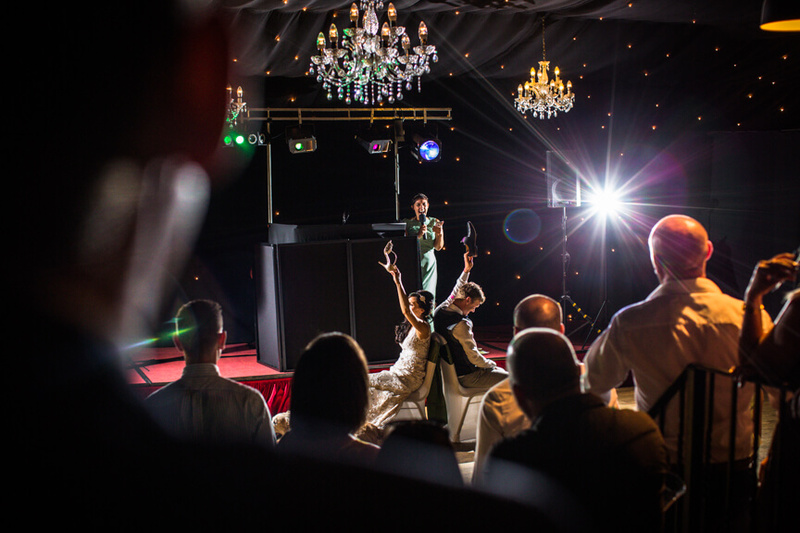 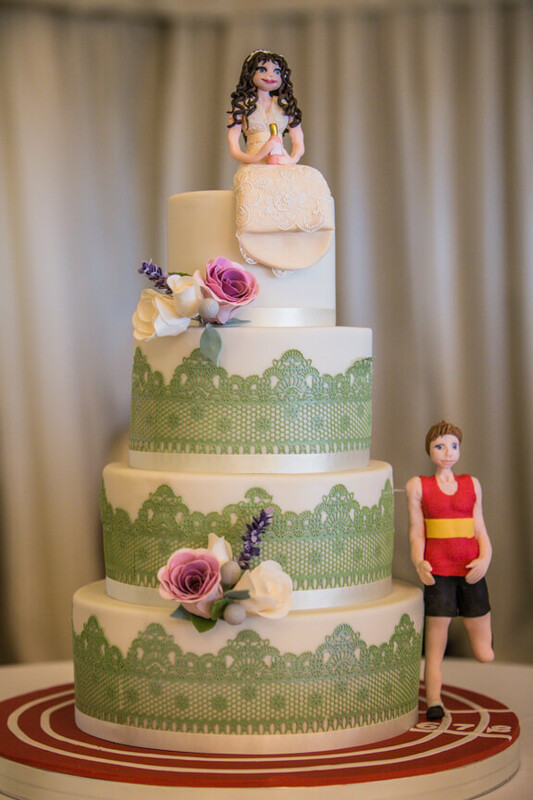 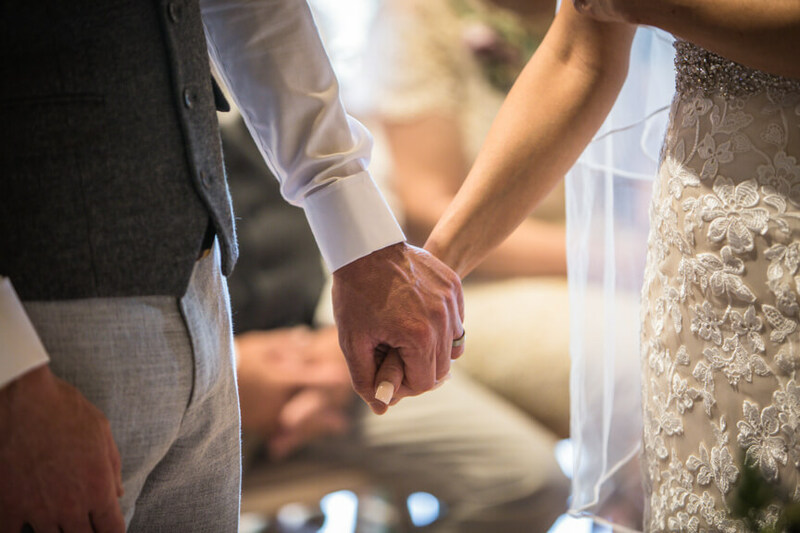 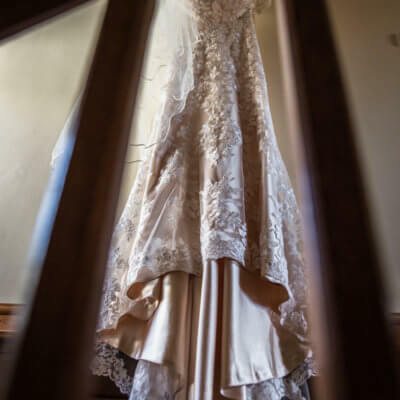 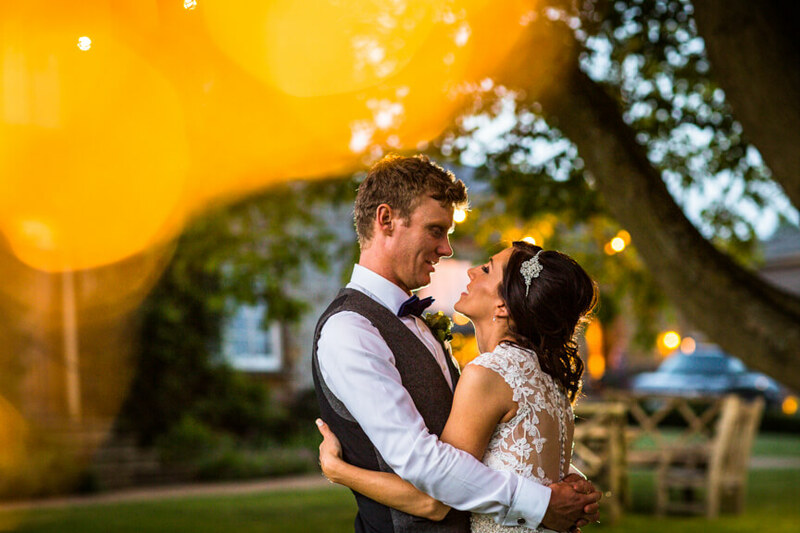 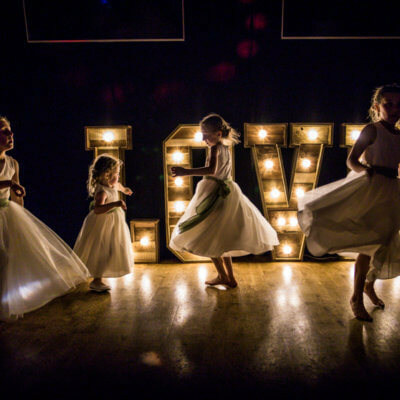 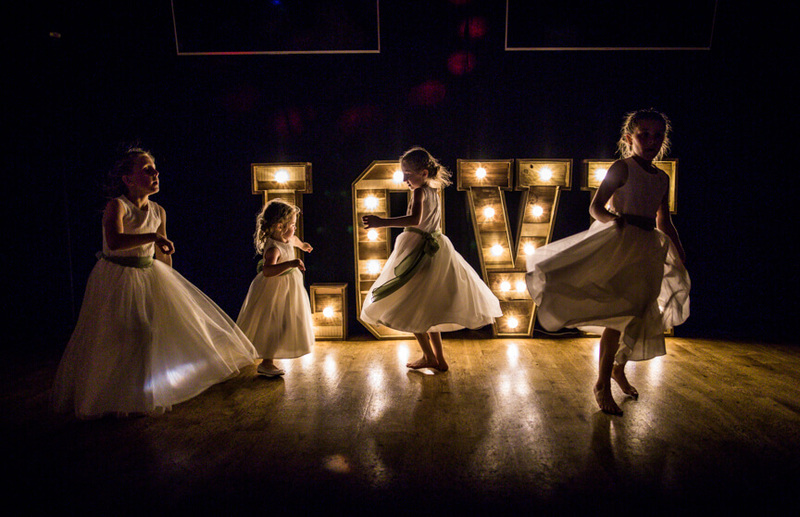 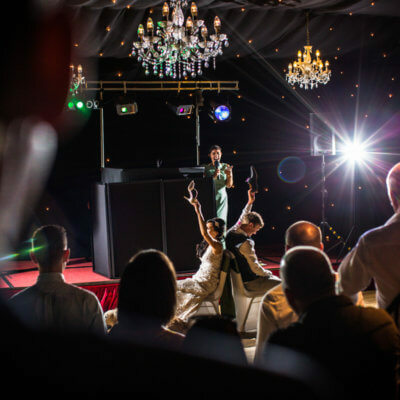 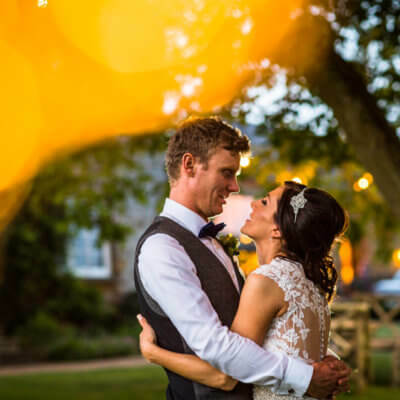 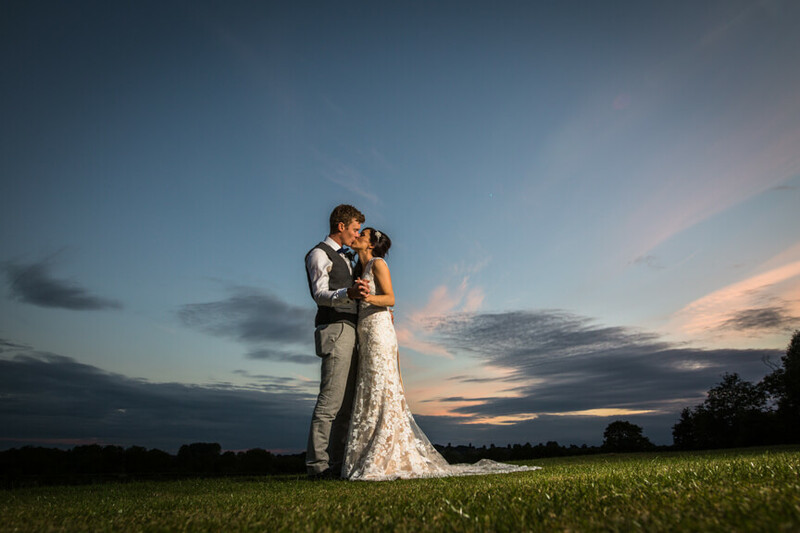 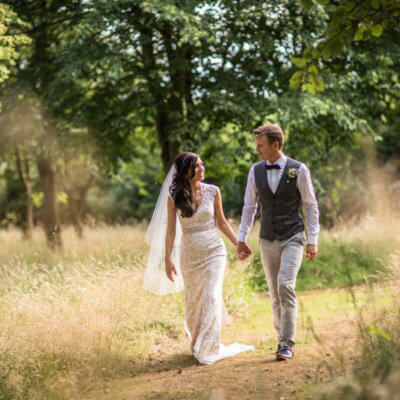 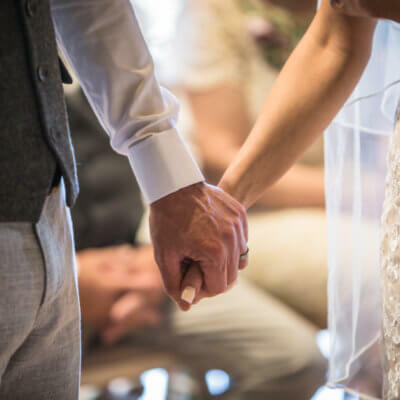 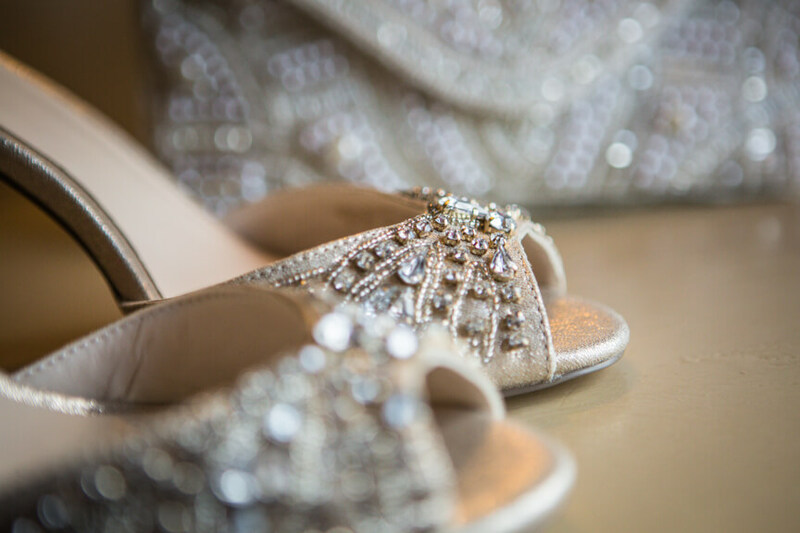 Photographer Andy Doherty did a brilliant job of capturing the spirit of their day; huge thanks to him and to Melissa and Mathew for allowing us to share a few of their photos.